We’re moving very soon, so packing and de-cluttering have been a daily chore. I take great pleasure in getting rid of things. There was the ornate couch in the cellar that we planned to reupholster some day. The day never came, and in the words of Oscar Madison, “Now it’s garbage.” I pulled a box of baby toys from the attic, where they’d sat since the day we moved in more than 20 years ago. Bags of old clothes, musty books and a vast assortment things that once seemed like a good idea. The guy at the dump? We’re on a first name basis. 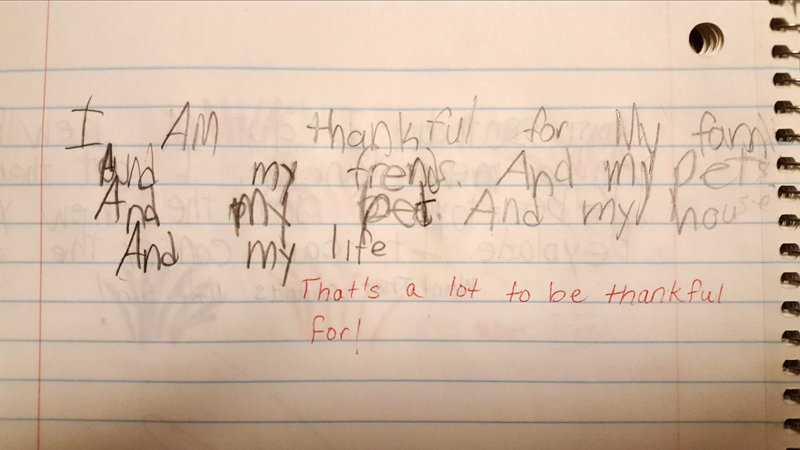 But amid all the stuff, are some things that move you, like my son’s journal from when he was seven. Some things you must let go, and some things you must keep. Choose carefully. Driving into Greene County on Route 32 always brings on the nostalgia. I was at an event in Freehold the other night, not far from places where I’d visited as a child. My parents took us on a number of family trips at resorts in the area; it seems so odd that we used to vacation at places so close to where I live now. The Borscht Belt may be better known, but the northern Catskills were just as vibrant, with pockets of resorts catering to throngs of downstate Irish, Italians and Germans escaping to the mountains. You don’t have to look far to see the history. There are a handful of resorts still operating and others have been re-purposed, some by religious groups. Here and there you see abandoned resort buildings making their last stand against decay. The attractions we’d visit, like the Catskill Game Farm and Carson City, are no more. We never went to the Mystery Spot, but I’m pretty sure that’s gone, too. Also absent is the sense that you were in the middle of nowhere. One thing I’ll never forget are the signs for Freehold Airport offering “Scenic Flights.” I’d see these signs as we drove from place to place and imagine how incredible that would be, going up in an airplane and seeing it all from the sky. I never dared to ask my father if we could do it, because “Scenic Flights” seemed like something so… extravagant. My father’s been gone now for more than 25 years. I have nothing but fond memories of him and certainly harbor no regrets, but there is one thing: I really wish I’d asked about those “Scenic Flights.” Maybe he would have surprised me and turned down the road to the airport. I love to imagine being up in the plane, just him and me and the pilot, soaring together over the Catskills. When I was a kid, there was an unwritten law about Thursday, and violators faced dire consequences. The law? Silence must be maintained on Thursday, because Thursday was my father’s bowling night. He liked to come home and take a nap for a few hours before going out, and since he was a light sleeper, we maintained an almost monastic silence, quietly moving around the house and only speaking in quiet whispers. But kids are kids, and sometimes we accidentally woke him. That’s when he would come storming out of his room loaded for bear. It didn’t matter who was making noise, he’d just grab the first one of us he found and mete out justice. It was terrifying at the time, but I laugh about it now. Most days, my father was off to work before any of us were out of bed, so catching a little shut-eye was a welcome thing. Understandable. I now know how annoying it is to be woken from a nap, and have on occasion jumped up in a very foul mood. Barking dogs, phones, leaf blowers — a million things conspire to ruin sleep. So, look: if someone you know is lucky enough to enjoy the luxury of a brief nap, do what you can to make things quiet. It’s a good thing to do, even if there is no chance they’ll storm out of their room and chase you through the house. Father’s Day. It’s a second-rate holiday compared to Mother’s Day, which is a much grander celebration all around. Shortchange mom on Mother’s Day and you’re in trouble. Dads don’t really care. And anyway, I’ve already gotten the best gift a father could have: two great sons. They’re both fine, smart people — and even at their young age, they’ve accomplished important things, especially in the commitment they’ve shown to a purpose bigger than themselves. My older son took a year off from law school when he was deployed with his infantry company to Afghanistan. There they patrolled a landscape he likens to Tatooine in Star Wars — right down to the troublemakers roaming the desert like Tusken Raiders. My younger son just graduated from Marine recruit training at Parris Island. We all have a mental image of what that’s like from the movies, but what they were subjected to every day sounds like it was much, much more challenging. I’ll be honest, I tried to talk him out of it, attempting to convince him on going to college first. How about ROTC, I said, or the National Guard? You can serve and go to school at the same time. Nope. And while may of the newly minted Marines he graduated with will now go off to learn skills like repairing helicopters, he’s pursuing a much more traditional skill: that of the infantryman. That’s the job he chose. When I was that age, what sort of big decisions did I make? Whether to study for an exam or go to dollar pitcher night at Goober’s in Plattsburgh. Yes, I chose Goobers. So, on Father’s Day I celebrate the boys who made me a father, and who as men, make me proud as hell. We had a conversation last night about Easter morning. The question? Do we hide eggs. 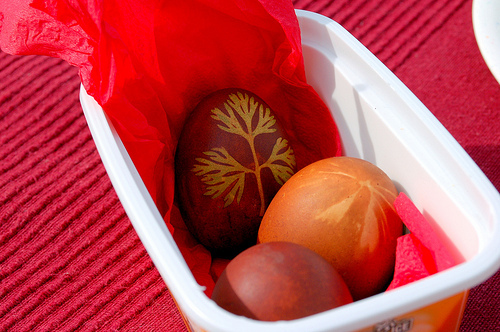 Hiding the easter eggs is something I’ve done that goes all the way back to when my older son was little. We’re talking decades. Today, one son is in his mid-twenties and the other not even living at home — but the egg thing. It worries me. Will he be disappointed when he comes over on Easter if there are no eggs to look for? Traditions can be important in ways you don’t always realize. The best example of this was Christmas a few years ago when I had the great idea to put the gifts out on Christmas Eve instead of early Christmas morning. It seemed like an insignificant thing to me, but it caused quite an uproar with the kids. What’s going on? Why are the presents out? Presents aren’t supposed to appear UNTIL MORNING! Don’t screw around with your traditions, not even the small ones. Hey, kids! 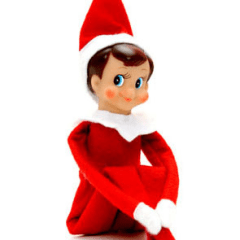 Do you have an Elf on the Shelf in your house? What did you name him? Rudy? Bingo? Dave? He sure is cute, and it’s so much fun to get up in the morning and see where he’s hiding. Every night he flies to the North Pole and tells Santa if you’ve been naughty or nice. Your Elf makes Christmas special! But how do you know if he’s telling Santa the truth? Some elves are evil, and they make up nasty stories about children. And when they fly to the North Pole every night, they tell tell Santa lies about you. These terrible stories make Santa think you’ve been bad, and that means he will bring you less toys. There’s only one thing you can do: make you elf go away. When everyone is sleeping, grab your elf before he flies to the North Pole and stop him. One thing you can do is go outside and put him in the garbage can. Or throw him down the sewer. Do you have a dog that likes to chew things? Give him the elf. You can even put him under your mattress. That way he won’t be able to fly to the North Pole and tell Santa lies about you and ruin Christmas. Remember: the elf is there to stop you from getting more toys. And after he’s gone if someone asks if you’ve seen him, deny, deny, deny. It’s always exciting to have a new driver in the house! Honestly, I didn’t expect it to come so soon, but it seems the road test examiner took a shine to our young man. I’m not saying she overlooked his weakness in the area of parallel parking — it’s possible she did not notice he was four feet from the curb — but either way he has his license. 1. If you get pulled over, be certain the reggae or Grateful Dead station is not playing on the satellite radio. This alone gives the officer probable cause to take a very close look at you and the car. 2. Do not return home if you damage my car, but if you must, do not claim that it happened while unattended in a parking lot. I was born at night, but not last night. 3. Treat every other car and driver as if they are out to kill you. Don’t trust anyone behind the wheel of another vehicle and just assume they are drunk/high/stupid/crazy/elderly or some combination of those.